When can the IRS levy or garnish your wages or bank accounts? In general, the IRS can issue a levy after the tax is assessed (meaning the amount is determined, due, and billable in the IRS’s system), 10 days after the IRS has issued notice of the amount due and demanded payment (by a written bill or even orally) without receiving full payment, and after the IRS has provided statutory final notice of intent to levy 30 days before issuing the actual levy, unless an exception applies such as “jeopardy” levy procedures. A lien, which is merely an encumbrance, precedes a levy, which is a taking. After the IRS has an assessment for unpaid taxes, pursuant to 26 U.S.C. § 6321, a statutory federal tax lien arises when the IRS demands payment but the taxpayer neglects or refuses to pay. This statutory lien is sometimes called a “secret” lien because it exists as a matter of law, even though no document evidencing the lien (a “Notice of federal Tax Lien”) has not been filed in the county or with the secretary of state. That lien attaches to “all property and rights to property, whether real or personal” belonging to the taxpayer. 26 U.S.C. § 6321. Pursuant to 26 U.S.C. § 6331, the taxpayer’s refusal to pay upon notice of the assessment and notice of demand to pay also gives rise to the IRS’s right to collect. Generally, “if any person liable to pay any tax neglects or refuses to pay the same within 10 days after notice and demand, it shall be lawful for the Secretary to collect such tax… by levy upon all property and rights to property… on which there is a lien… .” 26 U.S.C. § 6331(a). 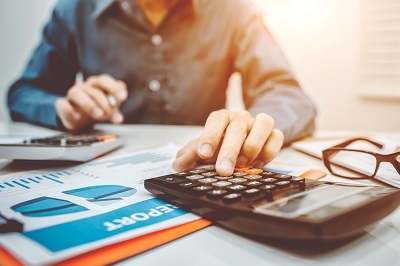 In addition to notice and demand for payment of the unpaid balance of taxes, except where a jeopardy levy is sought by the IRS, a taxpayer is generally entitled to notice of the levy before the levy is issued. 26 U.S.C. §§ 6330(a)(1) and 6331(d)(1). The IRS is required to give 30 days notice before the actual levy is issued and the notice must provide rights to administrative review of the levy through a Collection Due Process hearing. That notice can be served personally or by hand delivery to the person’s home or business, but it is typically served by certified mail to the person’s last known address under 26 U.S.C. § 6330(a)(2). The notice includes the amount due, the rights to the hearing, alternatives to levy, and other rights. The typical forms used for the statutory final notice of intent to levy are Letter 1058 or IRS Letter LT11. The LT11 is automatically generated by the IRS automated collections system, but the Letter 1058 is usually used when a real, human, IRS collections officer is involved. A Form CP504 often precedes that notice and looks very similar to the LT11, but the language in the CP504 does not, as of the time of this blog, include the requisite rights to allow a bank levy or wage garnishment. Rather, the CP504 only provides notice that the IRS will seize state or federal refunds rather than let them be sent to you. If you receive any notice by certified mail, regardless of the letter number, you should contact a tax professional to advise you of its import and your rights. That green sticker usually means something serious is pending. The levy notice provisions in sections 6330, 6331, and 7429 of the Internal Revenue Code are only designed to balance the IRS’s interest in collection against the delinquent taxpayer’s rights to notice and opportunity for a hearing, and not to provide rights to third parties. See Austin & Luarato v. United States, 2013 U.S. App. LEXIS 19492 *16 (11th Cir. 2013) (in wrongful levy action by third party creditor, finding that 26 U.S.C. §§ 6330 and 6331 create no pre-levy notice obligation with respect to claimants other than the taxpayer). If the levy is wrongful because it was issued on the wrong property (property to which the taxpayer lacks rights), the provisions of 26 U.S.C. § 7426 apply and the IRS’s Collection Appeals Procedures may be utilized.